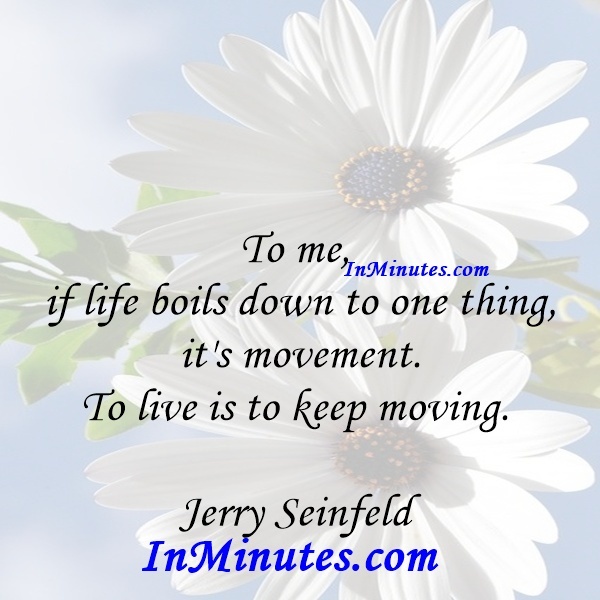 To me, if life boils down to one thing, it’s movement. To live is to keep moving. The young man knows the rules, but the old man knows the exceptions.Oliver Wendell Holmes, Sr.